BVN: 32m Bank accounts to be frozen Nov 1, see why! Bank customers who fail to meet the October 31 deadline to enroll on the Bank Verification Number (BVN) network will have their accounts frozen, the Bankers’ Committee said yesterday. Only 20 million out of the 52 million active bank accounts have so far enrolled on the BVN network, data from the Central Bank of Nigeria (CBN) showed. Managing Director, Ecobank Nigeria, Jibril Aku, who disclosed this at the end of the 324th meeting of the committee in Lagos, said there is no going back on the new deadline set by the CBN for customers to obtain their BVN. “There will be no extension of the October 31 deadline. All efforts have been made by the committee, CBN and Nigeria Interbank Settlement System for bank customers to obtain their BVN. The customers who fail to meet the deadline will not be able to operate their accounts until they comply,” he said. The bank chief, who spoke on behalf of the committee members, said Nigerians in Diaspora can enrol at different embassies within their countries of abode or get enrolled by the consultant involved in the contract at a fee. He said non-compliant customers still have up till the month end to get their BVN or face the consequences. He said the BVN registration was a directive from the CBN to all deposit money banks to register all their customers’ fingerprints biometrically in furtherance of the Know Your Customer (KYC) policy. The BVN was introduced in collaboration with the Bankers’ Committee on February 14, last year to ensure unique identities for all bank customers and other users of financial services in the country by the use of the customers’ biometrics as means of identification. Initially, it was estimated that all bank customers would, within a period of 18 months, complete enrolment in the new system of customer identification. The enrolment for the scheme can be done in banks across the country. Also speaking at the meeting, CBN Director, Banking Supervision, Mrs. Tokunbo Marins, said the banking sector remained resilient and stable and that a total of N740 billion had been refunded to banks by the CBN after the Cash Reserve Ratio (CRR) was adjusted from 31 per cent to 25 per cent during the September Monetary Policy Committee (MPC) meeting. 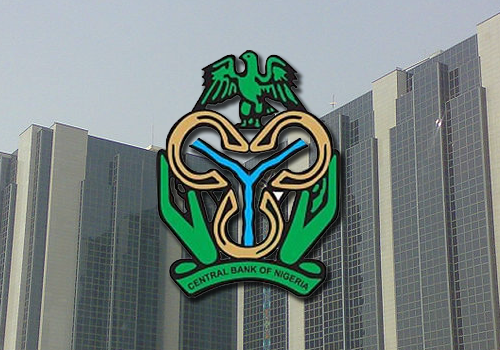 She said the Treasury Single Account (TSA) policy of government had not impacted negatively on the sector liquidity and that no bank was distressed on account of cash movement to the CBN. She said bank examiners were compiling figures to ascertain the actual amount that left banks’ vaults on account of the TSA implementation. Managing Director, Fidelity Bank Plc, Nnamdi Okonkwo, said there was no alarm on the TSA and that the industry had transited well on the policy. Likewise, Managing Director, FirstBank, Bisi Onasanya, said JP Morgan’s removal of Nigeria from the bond index was reviewed by the committee and found that there was nothing to worry. He said the foreign exchange reserves had been stable, and that the CBN had consistently met genuine forex demands from operators within the real sector and manufacturers. “The reserves have been swinging left and right, but overall, they have been stable. The forex policy of the CBN has helped the reserves,” he said.